If you are the parent of a boy or girl joining Cubs, then the booklet This is Scouting is for you! Cubs is open to girls and boys age 7 to 10. From age 11 they can become a Scout. To find a nearby Cub Pack, use the Scouts Near You page on our website. Contact the adult leader in charge - called "Akela" - who will introduce your child to the other Cubs and help them feel welcome. Fill in the Application For Membership form and hand it in to your Akela. Once your child has been to a few meetings, they will be invested as a Cub, which means joining the Pack officially, making the Cub Promise, and wearing their Cub uniform for the first time. Cub Badge Chart - which badge is which, and where does it go on the uniform? Parent consent form - to be completed for any Cub activity held away from your normal meeting place. Are you a parent? Looking for a fun and healthy activity to do together with your children? Want to give back to the youth in your community? Scouting provides children and youth the time of their lives! It can be yours too! 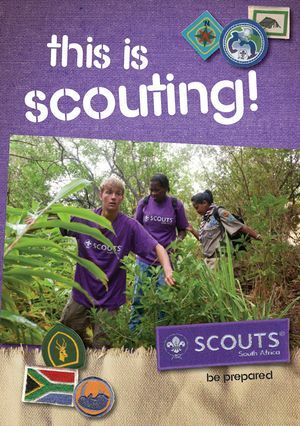 SCOUTS South Africa needs you to join our Scouting family! Successful Cub Packs need a team of good adult leaders, and we encourage parents to get involved. That could mean helping in practical ways like providing transport or snacks, or helping with an activity where you have skills or resources to offer. Cub Packs also need the support of a parents committee which looks after the business of the group - finance, facilities, fundraising, and so on. And Cub Packs are led by adults - the Pack Scouter (Akela), Assistant Pack Scouters, and Parent Helpers. If you would like to volunteer, you can find out more in the booklet This is Scouting for Adults, and on the page Adults Join Here! This page was last modified on 29 March 2019, at 13:31.